So, if you had enough of all the sugary holiday cheer ..yes, we are talking about all those platters of cookies and fruit cakes ...and are now in the mood for something savory , welcome to the "no more sugar this holidays" club. 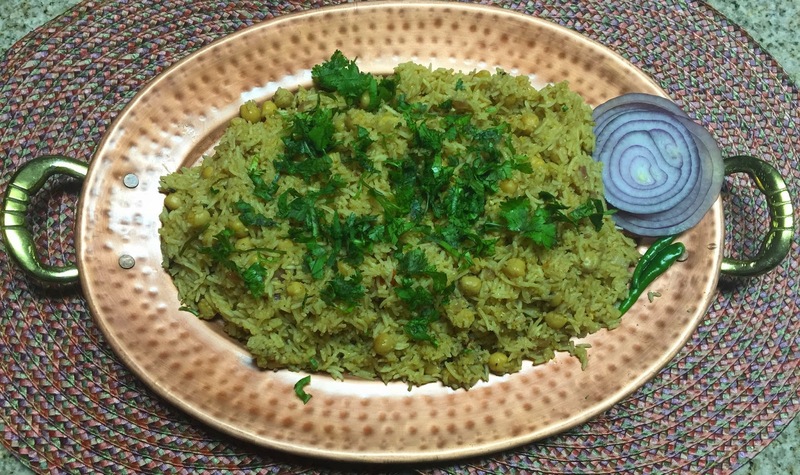 Once you join the club, treat yourself you this scrumptious chana pulao ..wish I could offer free sampling of this tasty treat but geographical limitations prohibit me from doing so even though I am not lacking on the holiday spirit ! I could do the next best thing ..share the recipe with you with the trust that you will do full justice with it . Secure with that knowledge, let's move on to the ingredients and the method involved. Hey ... have to halt a bit ..wanted to mention a few things...first ,you can substitute the kabuli chana with black chana or green chana ...yes, go for it ...secondly, try to use a wide vessel while making the pulao ...leads to more "khile khile rice "...okay..instructions over..time to move ahead ! Both the chana and the rice need to be soaked in water though for different duration. Chana needs to be soaked for a good 6-7 hours and then pressure cooked but not too much. For the rice, just 20-25 minutes soak before the actual cooking is ideal. Now in a wide vessel , pour the oil and then the whole spices ( cardamoms,cinnamon,star anise,cloves) . let it simmer till you get a nice aromatic smell. Now add the cumin seeds followed by the chopped onions. 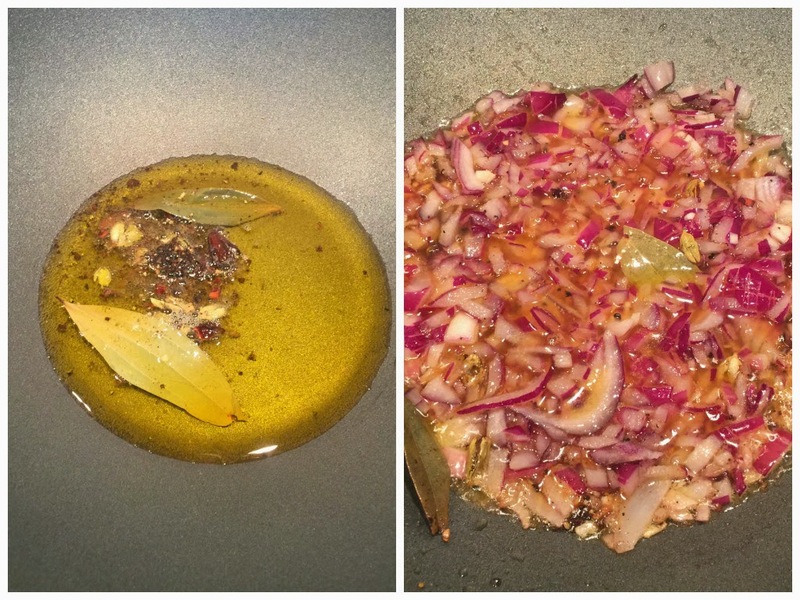 When the onions become translucent , add the chopped ginger and garlic. 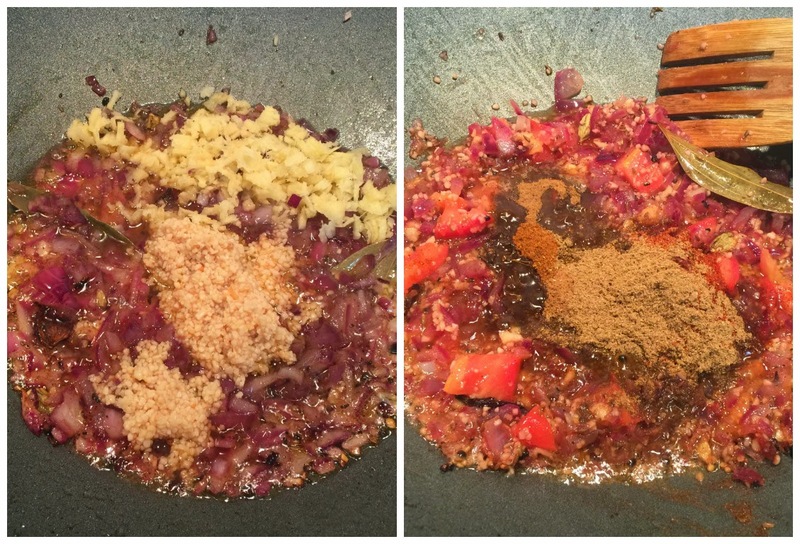 Mix it well and when a little brown , add the chopped tomato followed by ground spices (coriander powder, jeera powder and garam masala..you can alternatively skip these three and just add chana masala . Saute for a few minutes and add the rice and chana. Mix well with a flat spatula and add the water making sure that it covers the rice well. Reduce the flame after the first boil and cook till the rice soaks up all the water . Garnish with coriander and serve !